2021 Parkway North (Mo.) 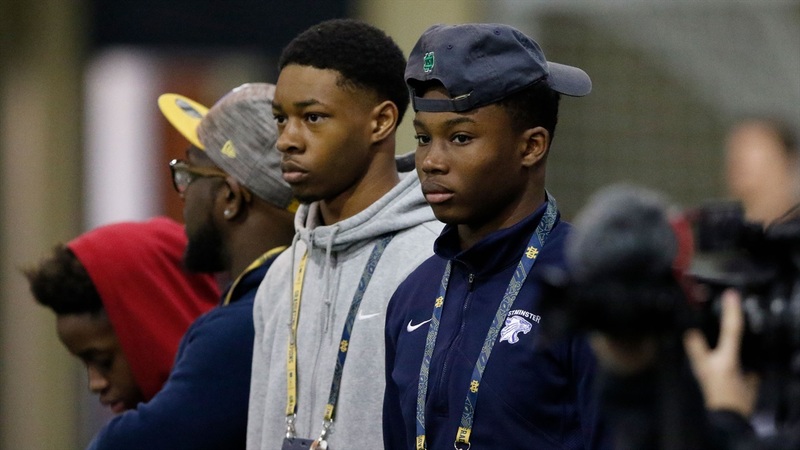 defensive back Jordan Greer‍ made his way to Notre Dame on Saturday. The 6-foot-1, 145-pounder was able to experience practice and get a quick overview of the program, which left a lasting impression. Practice on Saturday morning was the highlight for Greer as he was able to see multiple aspects that impressed him. “It was very intense and exciting,” explained Greer. “I liked the way they run things during practice. Notre Dame went live several times and it allowed the recruits in attendance to get a feel for the team, but also how competitive Brian Kelly’s program has become. Greer was also able to speak to a few members of the Notre Dame staff and they were able to explain why Notre Dame is an attractive program on and off the field. The Missouri native was able to try on the uniform and see the campus, which made him feel at home. Greer has one visit lined up in the coming weeks, but he also knows he’d love to come back for a game in the fall.